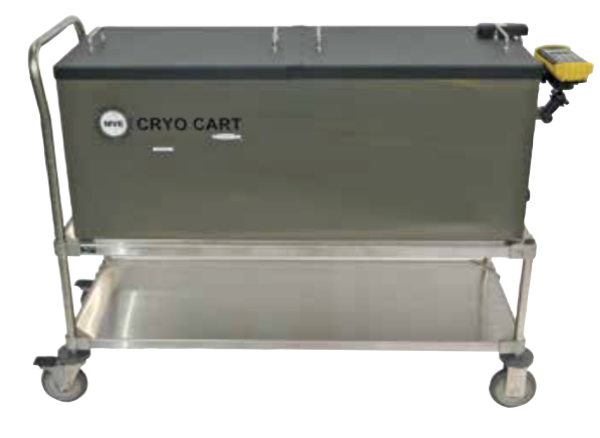 MVE CryoCarts are designed for the loading of biological samples into canes, boxes, racks or frames. When used as a portable workbench, the unit will provide a safe and controlled environment for your samples for up to eight hours with the lid open. MVE CryoCart is ideal for transporting large quanti- ties of samples from one tank to another within the same facility.